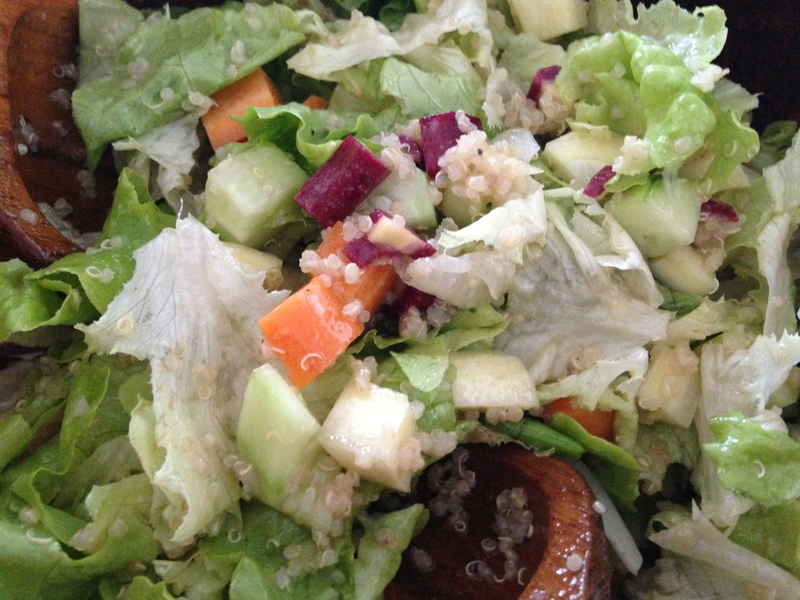 The best part of the CSA is eating fresh, we-know-where-it-comes-from, organic food. Saturday morning is pick up, Saturday afternoon is prepping and cooking. I nosh when I am working, tasting as I go, so dinner is not a huge affair. 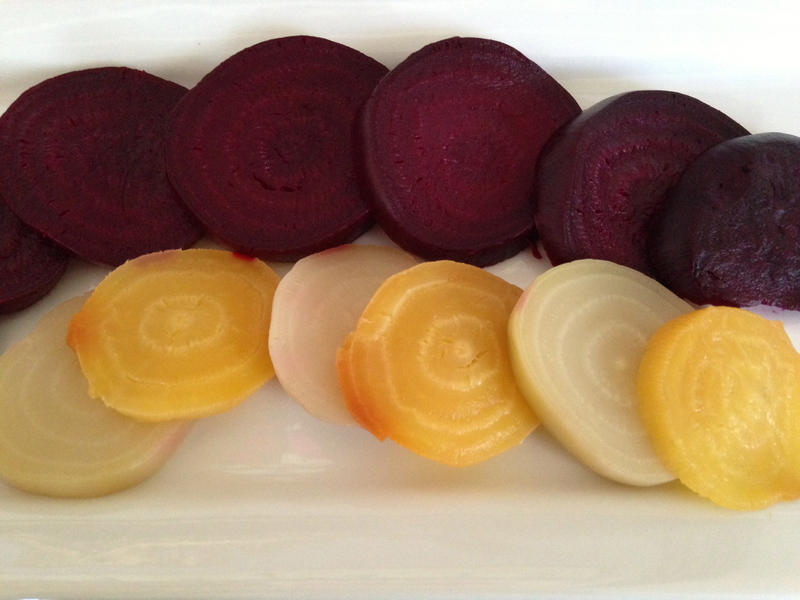 Tonight, I roasted these beautiful beets*: red, yellow and white. They were super sweet and we ate them straight up. Place all ingredients into a jar and shake well. Store in the refrigerator. Enjoy! I love beets! They’re my CSA favorite. And I never thought I liked them. Mine too…but I have always LOVED them! Even when my mom gave them to us out of the can! I like your dressing recipe. I just can’t eat them from a store-bought bottle anymore.